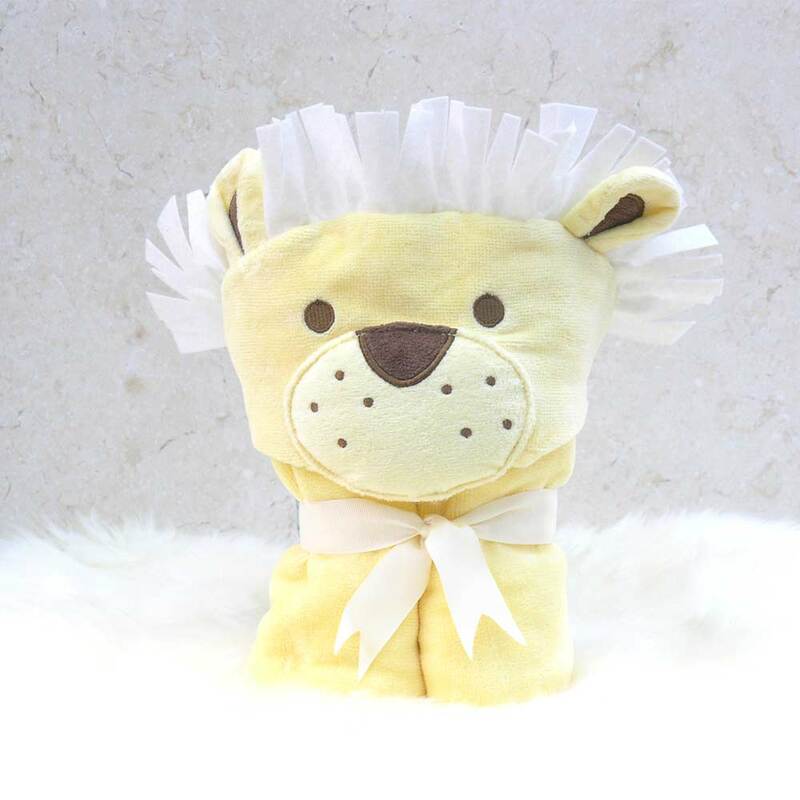 Each of our hooded toddler poncho towels is made using the finest soft and super-absorbent 100% cotton terry towelling which stays plush, wash after wash.
For a really special touch, why not personalise your new poncho gift with your choice of name beautifully embroidered on the back. 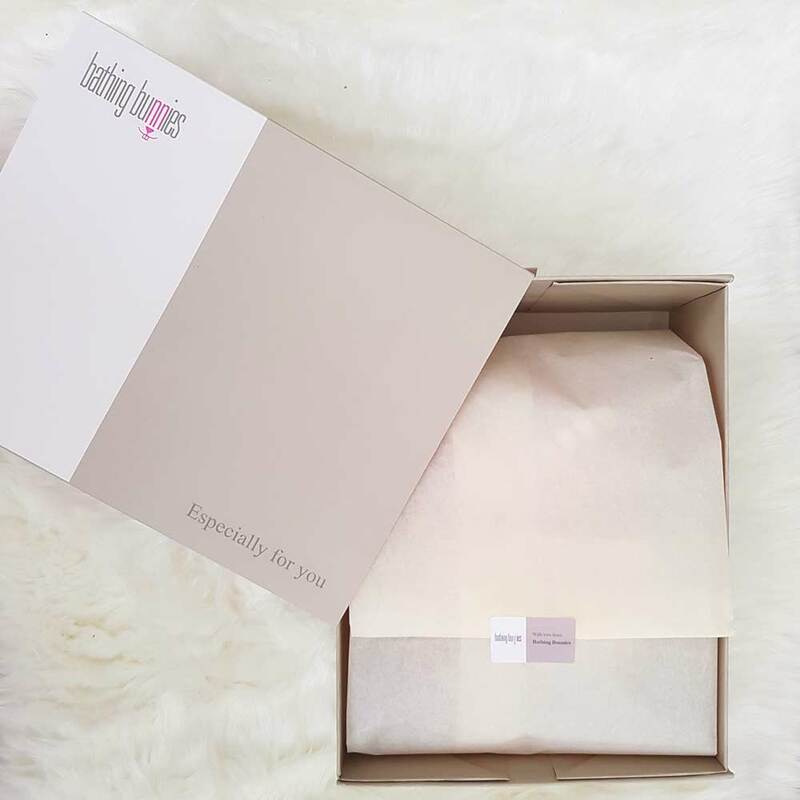 If you select the gift-wrap option, we will present your hooded poncho towel in a Bathing Bunnies gift box lined with tissue paper to create an extra special present. 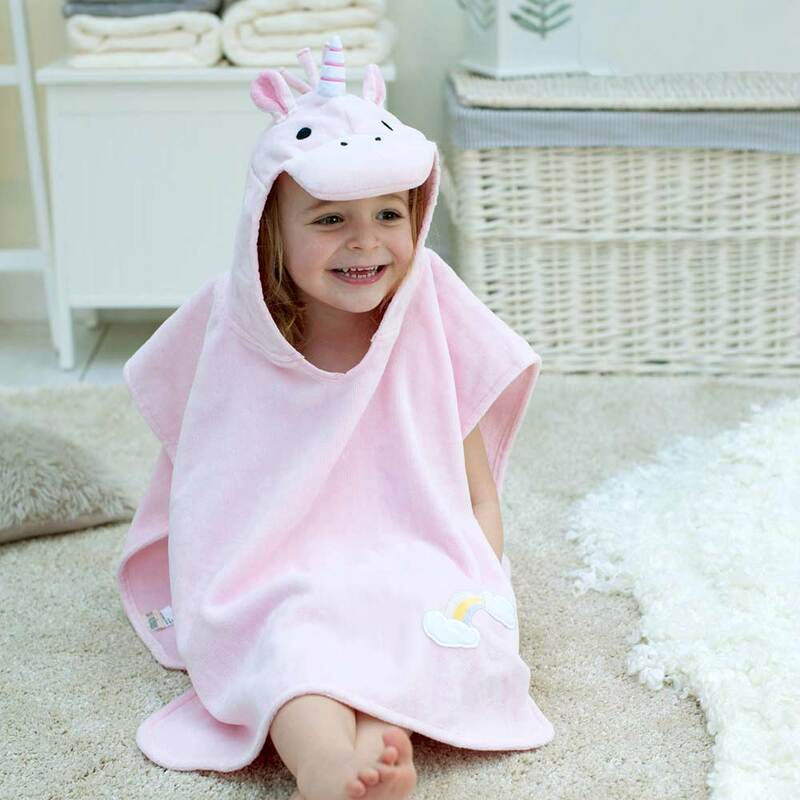 Magic the Unicorn is part of our new range of luxurious hooded toddler poncho towels. 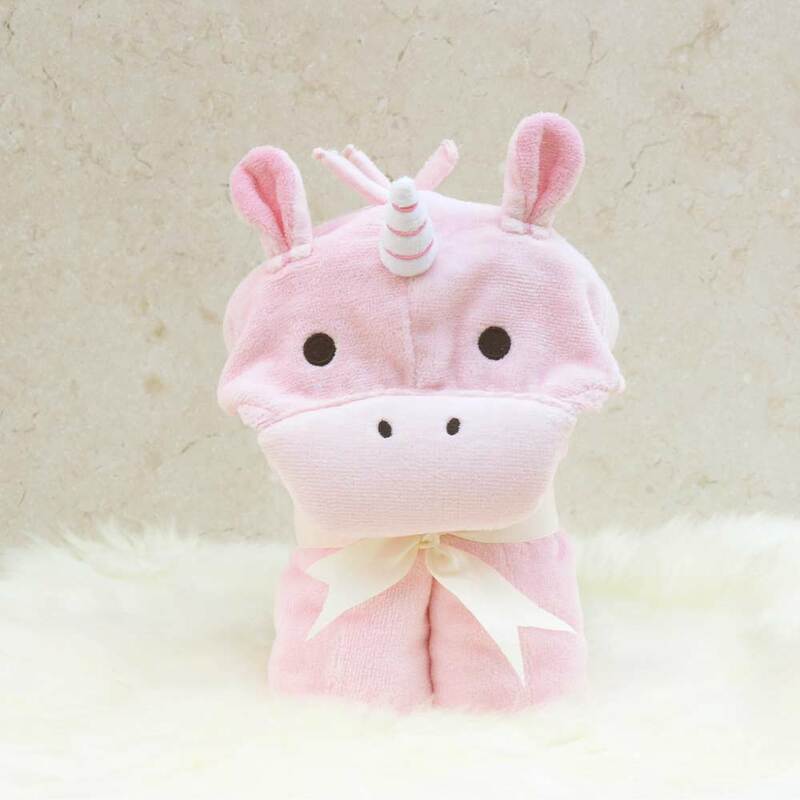 Magic is made in snuggly soft pink cotton towelling with a stripy horn and tufty pink mane. 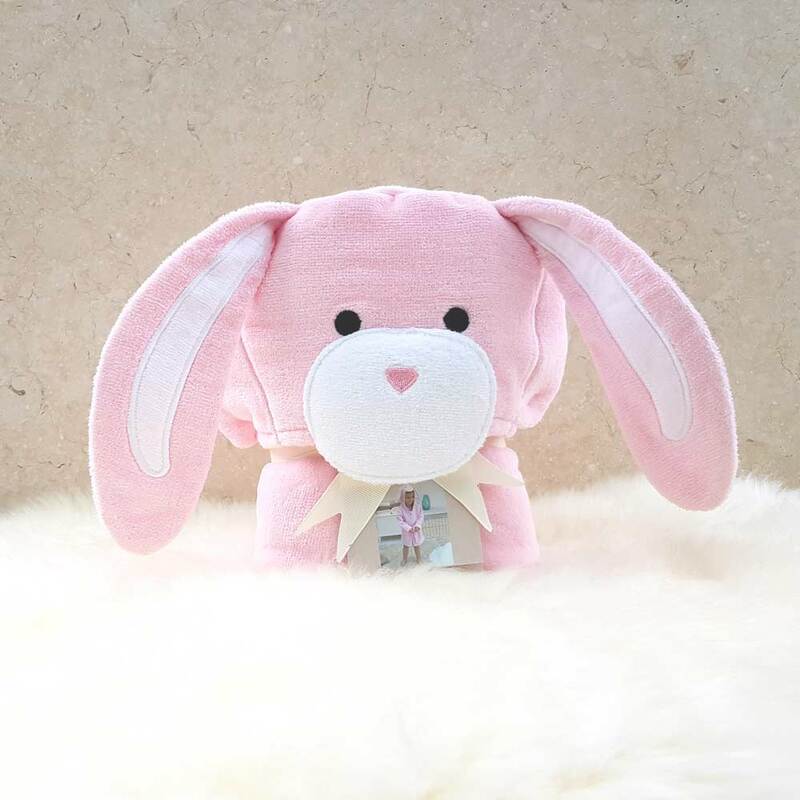 She is all set to become a legendary member of the Bathing Bunnies family! 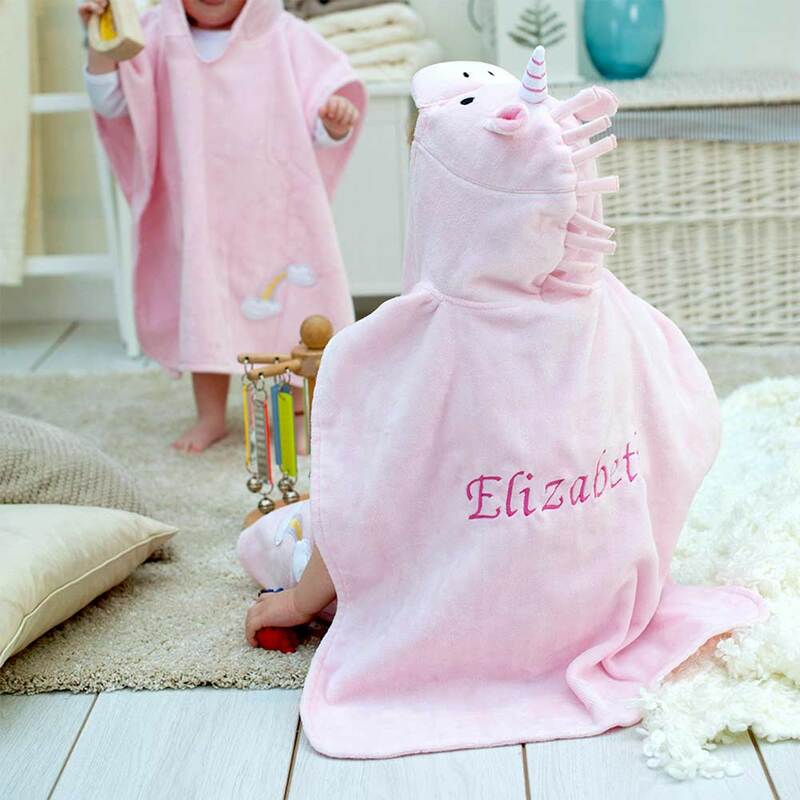 Our cuddle-soft hooded poncho towels are designed for comfort and ease of use - they can be popped over your child's head in an instant - perfect for a trip to the beach, swimming pool or for snuggling after a bath. 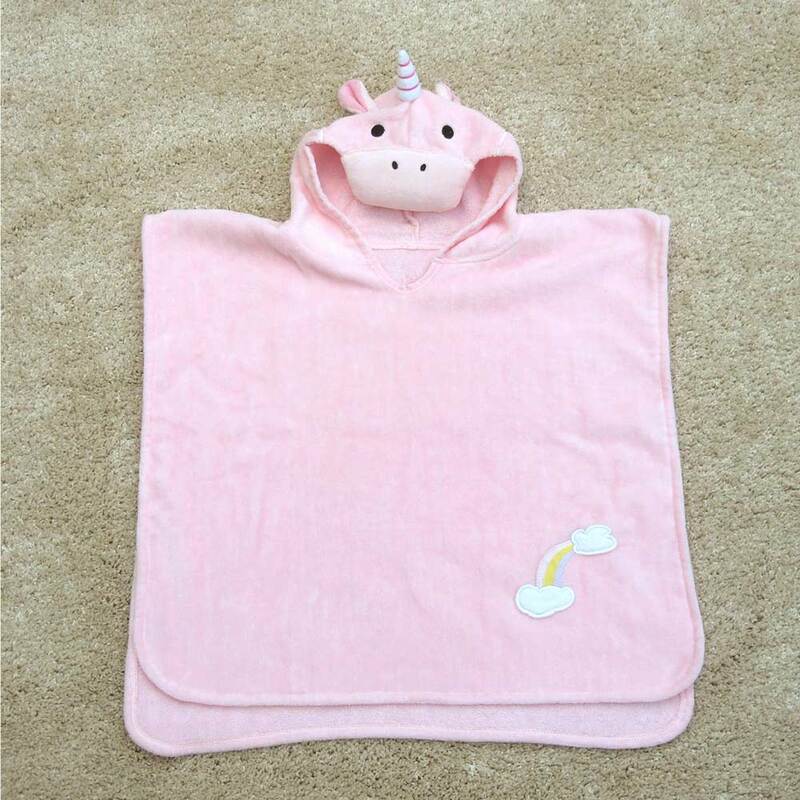 Our highly practical toddler poncho towels come with a secure button fastening midway on each side to create armholes. 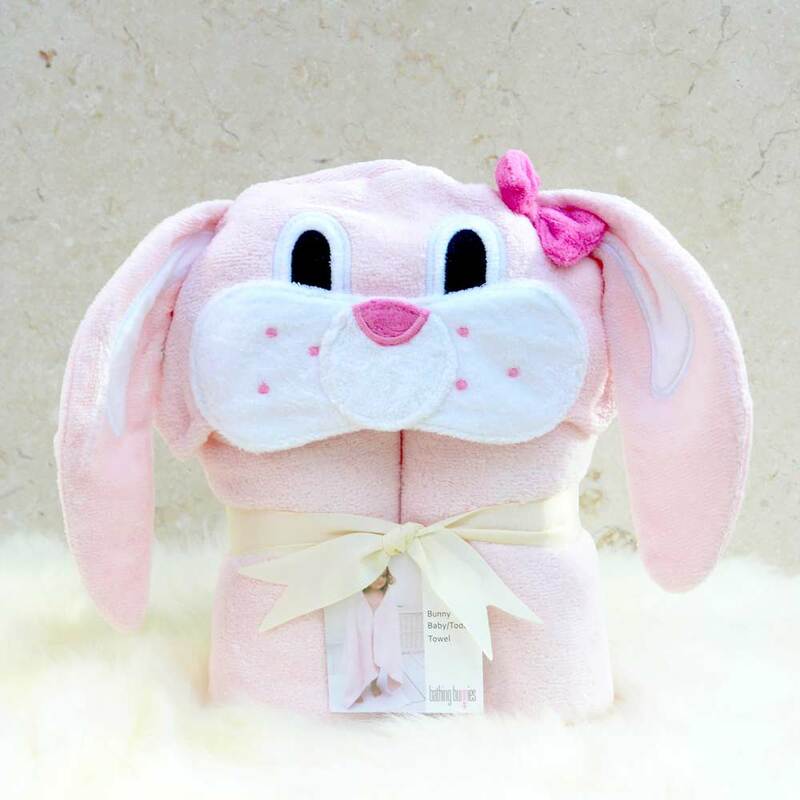 A Bathing Bunnies poncho towel makes the perfect personalised gift and is cleverly folded and beautifully presented with a cream ribbon to create a freestanding soft 'toy'. Bought as a 3rd Birthday present for my niece. She loves it!